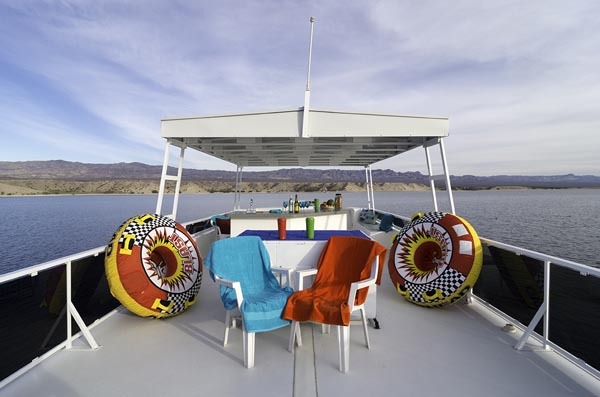 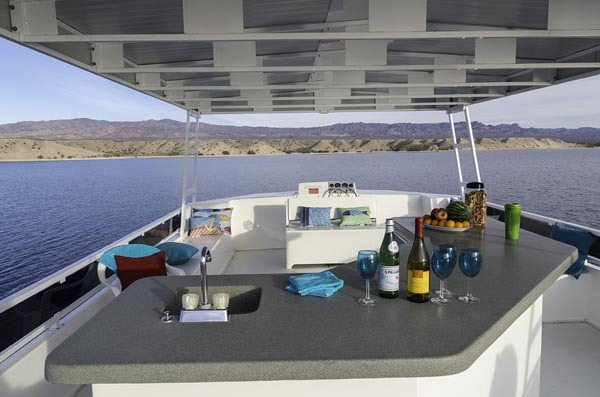 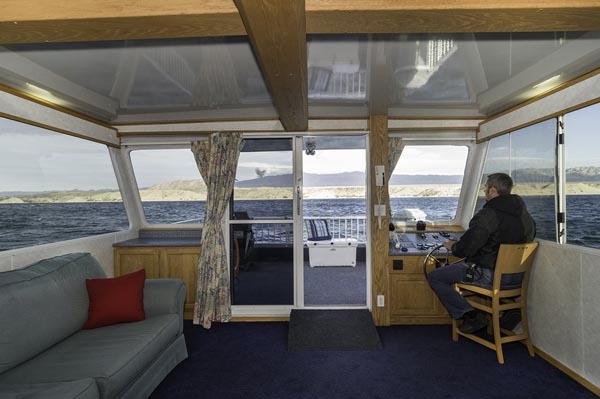 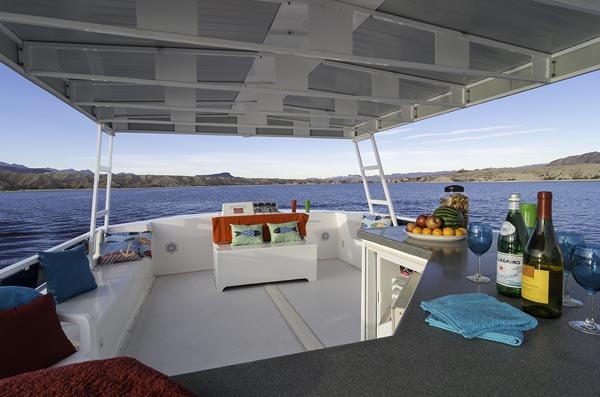 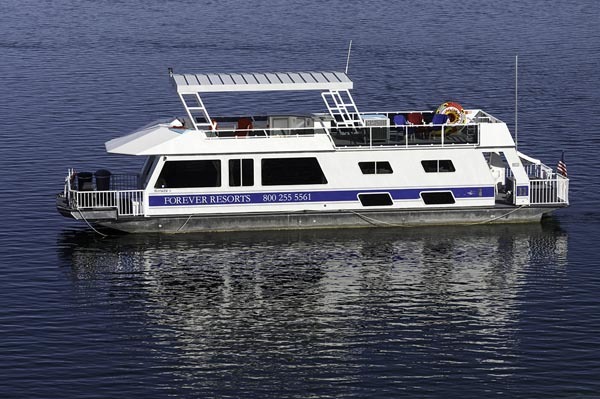 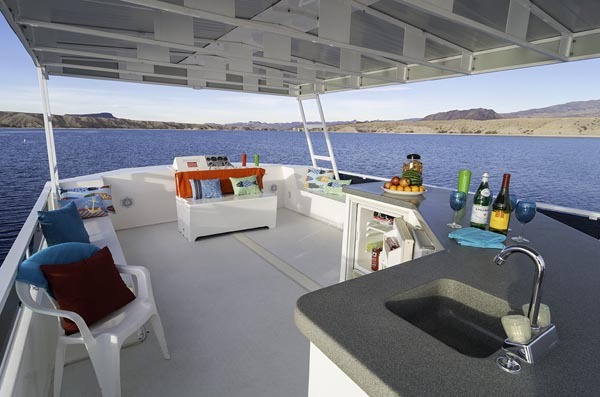 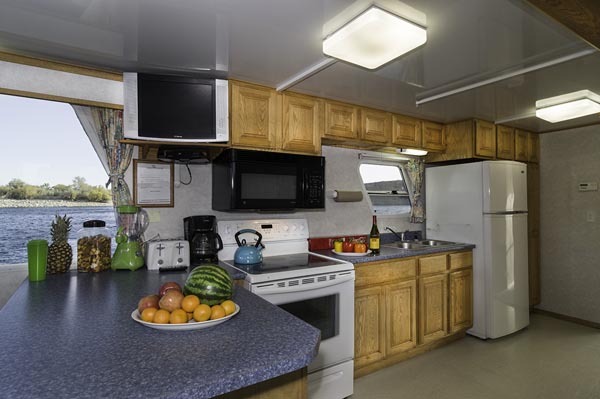 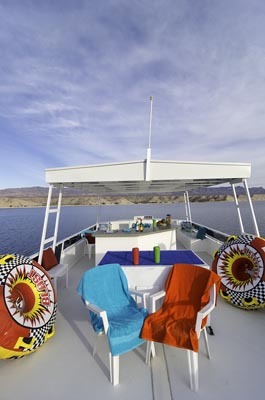 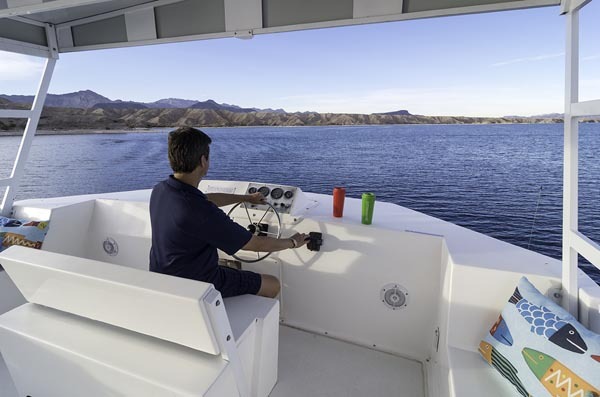 The 59' Deluxe is an inexpensive way to experience a houseboat vacation without sacrificing comfort. 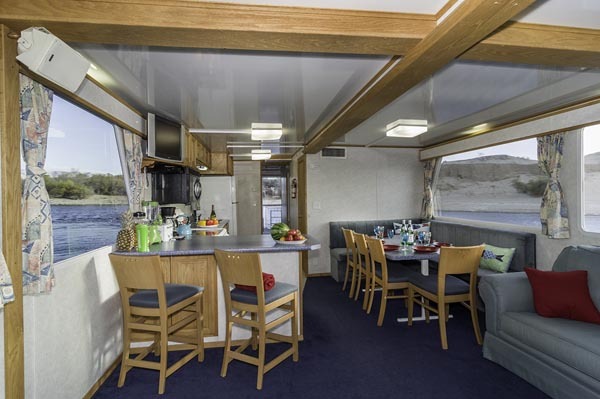 The Deluxe can sleep up to 10 comfortably with two private bedrooms, two semi-private bedrooms and a queen air bed in the salon. 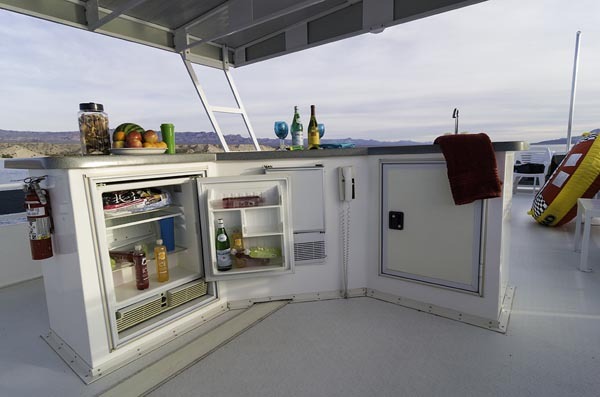 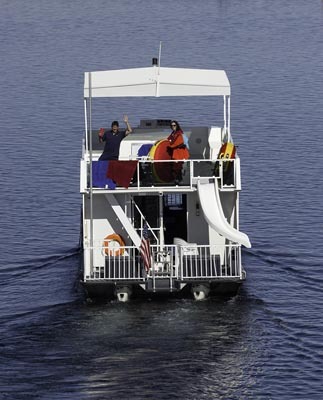 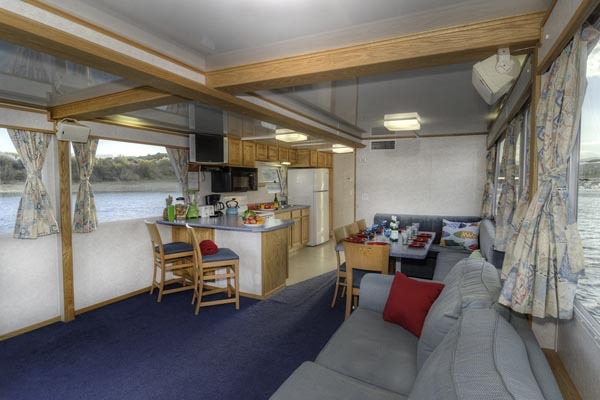 The Deluxe is also upgraded with an extra half bath, a wet bar on the top deck and a flying bridge. 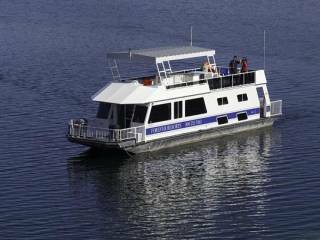 This is a great boat for larger groups looking for adventure at a reasonable cost.